MINOR IS MAJOR! 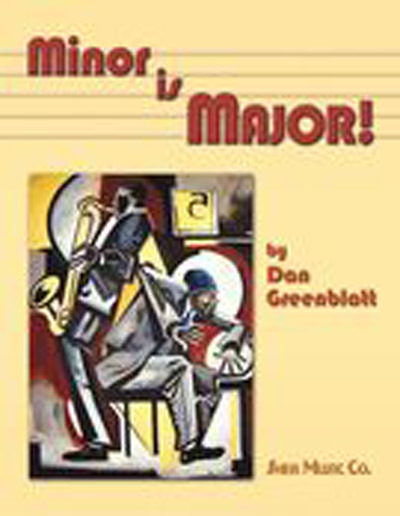 by Dan Greenblatt is the most comprehensive book ever written on minor key harmony. Minor is Major! gives the reader hundreds of ways to negotiate through chord progressions in minor keys, including scale choices, 'hidden chords' within those scales, melodic patterns, intervals studies and more. Includes numerous transcriptions of great jazz improvisers such as Charlie Parker, John Coltrane, Bill Evans, Clifford Brown, McCoy Tyner, and Joe Henderson showing how they make use of the harmonic and melodic minor scales. Endorsed by George Cables, Jerry Bergonzi, etc.